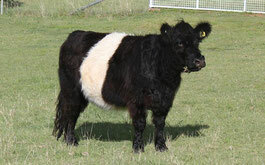 See below for a sample of Killure Mini Belties. These cattle are not for sale. 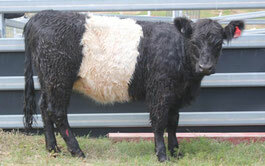 Sale cattle are shown under the "CATTLE FOR SALE" page. 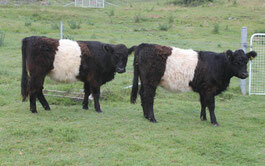 Only fullblood, miniature black belted Galloways are owned and bred at Killure. 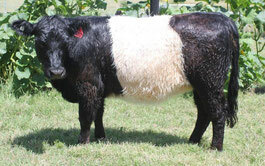 These cattle are primarily intended as breeding stock for other breeders and for the showring. 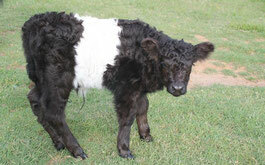 However, Mini Belties are ideally suited as cattle for smaller acreage properties, lawnmowers, pets etc. 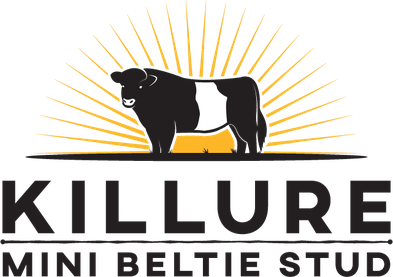 Conformation and temperament of cattle form key selection criteria at Killure. Only well shaped and easily managed cattle are kept. Belts are considered important and must comply with the requirements of the breed societies. Only cattle that fully conform to these standards are kept on the property. The average height of 2 to 3 year old female Mini Belties at Killure is 112cm and the average weight of this age group is 345kg. The average height of the 1 to 2 year old females is 105cm and the average weight of this age group is 275kg.